Have you ever tried to read Greek lettering pronouncing each letter like the latin letter it looks like instead of how the Greek letter is supposed to be pronounced? That is what this font is based on. 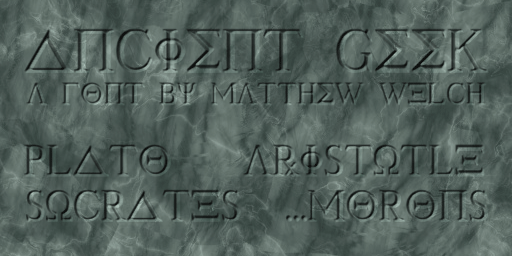 I took all the Greek letters and matched them up with the latin alphabet letters they look like. I threw out all the letters that didn't look like anything and filled in the remaining characters with the regular latin alphabet. The result is that you can type out a phrase and it will look like Greek lettering while being perfectly readable English.